From the Redakai card game! Ultimate microglyph viewing experience. Stores cards and highlights 3-D and animation. 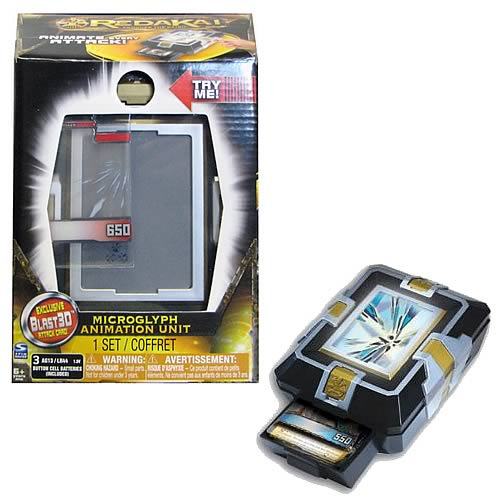 Includes one Microglyph Animation Unit and one card. Ages 6 and up. Batteries included!